Jon Toor is the Chief Marketing Officer of enterprise data storage solution provider, Cloudian. 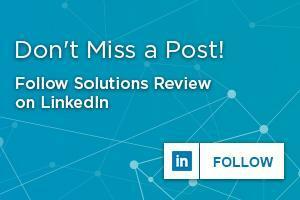 Solutions Review had the opportunity to speak with Toor about the increased use of hybrid and multi-cloud management. During our conversation, Toor shed light on how this cloud strategy can facilitate backup and disaster recovery, as well what the future of public and private cloud use holds. With his experience at Cloudian, Toor provides insight on the subject. What is the motivation behind using both public and private clouds? 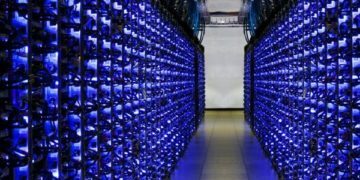 Private and public clouds each have their own unique advantages and challenges. A hybrid cloud approach – putting some workloads in the public cloud while keeping other workloads in your on-premises data center – gives organizations the best of both worlds. Applications deployed on-premises will often have better speed and performance when the data is located near the compute resources and reducing latency. Data throughput also benefits from having data on-prem, since a high-bandwidth connection to the cloud can be prohibitively expensive. In addition, when data is on-prem organizations have complete control over access, which is a requirement for some sensitive data such as financial information. Cloud deployments, on the other hand, give you offsite resources that are easy to scale, making them ideal for DR or for highly variable workloads. Also, there are many tools in the cloud well suited for data analysis. A hybrid strategy gives you the flexibility to leverage both environments to their best advantage, prioritizing performance, control, and scalability depending on the workload. Are there any noticeable trends regarding what users are looking for in a cloud strategy? Organizations are increasingly embracing a multi-cloud strategy. A multi-cloud approach allows enterprises to use specific features from various cloud providers, gives them the opportunity to adjust usage for cost, and offers the flexibility to leverage the geographic distribution of providers’ data centers. Multi-cloud also allows for cloud data protection (replication from one cloud to another) and cloud bursting (where the cloud is employed for compute capacity expansion). How does a hybrid cloud strategy help users with backup and disaster recovery? 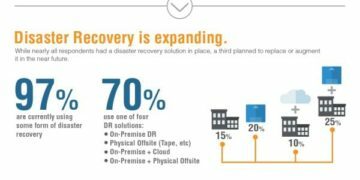 Disaster recovery is one of the primary use cases that’s driven public cloud storage use, and is a key component of many organizations’ hybrid cloud strategy. The cloud is an ideal option for disaster recovery compared to traditional approaches. 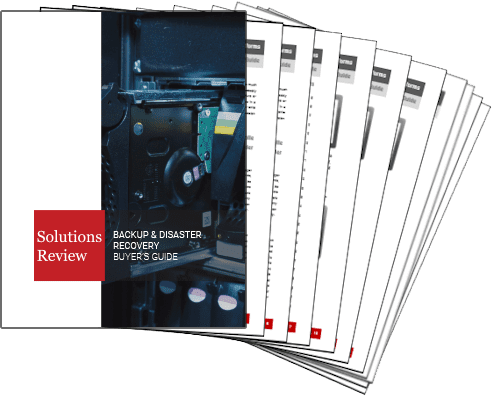 With cloud-connected storage, organizations can easily replicate any on-prem data to their disaster recovery cloud. In the event of a disruption or outage on-premises, they retain access to that data. In the past, organizations would have to rely on physical solutions, such as moving tapes by truck, or deploying a secondary data center or co-location facility to guard against disasters. Both solutions are much more expensive and time-consuming than leveraging the cloud for disaster recovery. Where do you see the future of public/private cloud use going? It’s becoming clear that Fortune 1000 organizations are committing to a hybrid cloud strategy. A few years ago, when the buzz around the public cloud was at its zenith, there were some in the industry who believed that every enterprise would move all their data to the public cloud. Now it’s obvious that enterprises will employ a mix of on-prem and cloud workloads, with the environment selected for performance, control or to meet data privacy regulations such as GDPR Both on-premises and public cloud deployments will continue to grow exponentially. In a recent IDC survey, 80% of respondents said they had repatriated some workloads from public clouds to on-prem or other private cloud environments over the past year. These customers also said they expect, on average, to move 50% of their public cloud applications to hosted private or on-premise locations over the next two years. The hybrid cloud model is here to stay.